The world's second-largest country by total area, most of Canada's land is dominated by tundra, forest and mountains. The largest cities lie near its southern border with the U.S. where the weather is more temperate. The big cities out west are Vancouver, Calgary and Edmonton. In central Canada, Winnipeg is located above the border of North Dakota and Minnesota. To the east are the metropolitan areas of Toronto, Ottawa, Montreal and Quebec City. These eastern cities are within bus range from our East Coast and Midwest, and are the most frequent school music trip destinations in Canada. 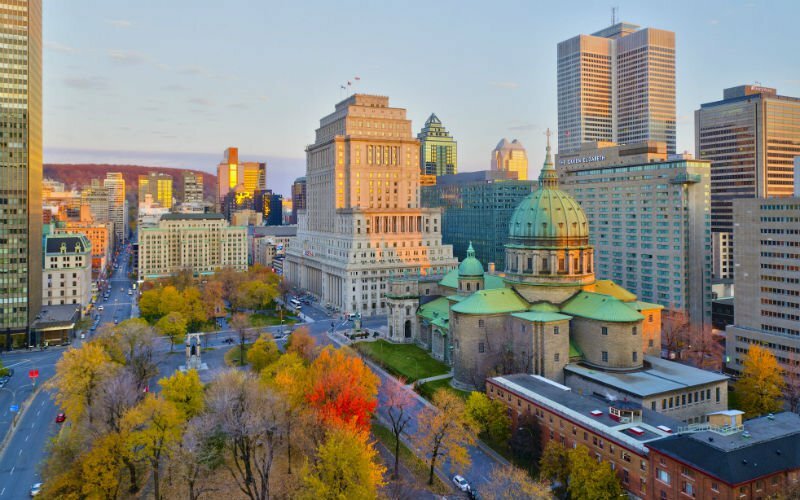 Montreal is the second most populous city in Canada and perhaps its most exceptional. Located in Quebec province, French is the official language. Old Montreal is both historic and dynamic--you can't escape without experiencing the excitement and energy that pervades the entire city. Visit the Montreal Underground City with its restaurants, shops, walkways and subways, or enjoy the broad array of winter sports. The truly international flavor here is evident in the numerous fine restaurants, with cuisine from around the world, and in the self-contained ethnic communities, like Little Italy, a lively area of espresso bars and delectable cuisine. The historical division between the French and English influence may have decreased over time, but distinctive sections still remain. Toronto is the largest city in Canada and its center of business, finance, arts and culture. Toronto is also considered to be one of the most multicultural and cosmopolitan cities in the world. Discover what makes Toronto so unforgettable by organizing a school music trip to this metropolis. From exciting theme parks and incredible zoos to spectacular gardens and festivals, attractions in Toronto offer a daily adventure. School groups will also want to visit Eaton Centre, North America's busiest shopping mall, Queen’s Quay, CN Tower and much more.